Hello Lovelies! I've wanted to try a coffee scrub for the longest time but I've always been held back by two things: the mess and the price. To be honest more the mess, because let's be real who wants to have to clear up coffee grounds when they get everywhere, but also the price because some coffee scrubs are just so damn expensive. 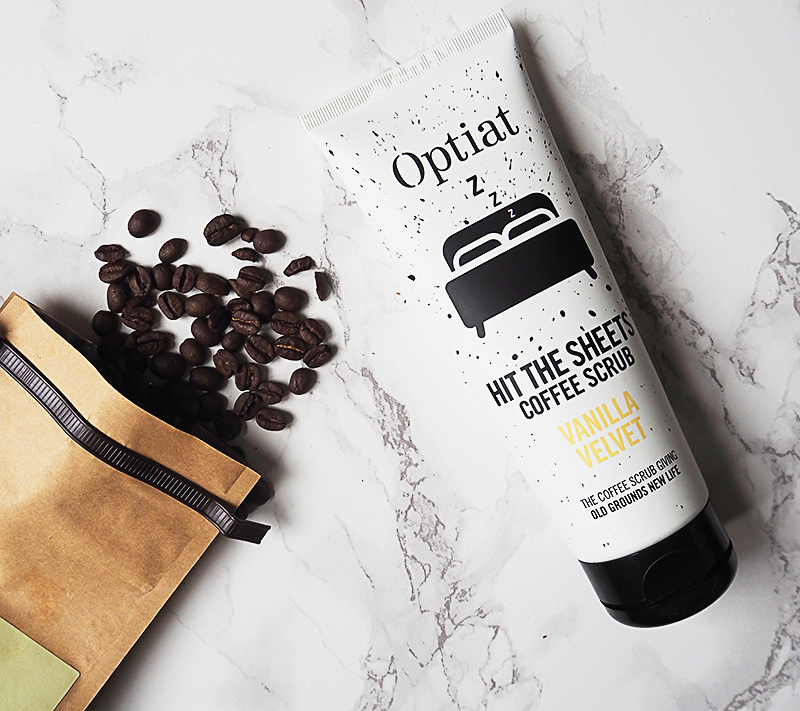 Optiat's coffee scrubs on the other hand are pretty innovative as far as coffee scrubs go. For the one they aren't in that annoying paper bag packaging, and it also has a kind of gel formula so won't be falling off your face as much as your normal coffee scrubs that are more of a powder consistency, moreover it's super affordable at £9.99 for 220g. Even better it's made from recycled coffee, hence the brand name: One Person's Trash Is Another's Treasure (Optiat). All sounds great right - but how did I get on with it? So I picked up their Vanilla Velvet version (because VANILLA) but they also have a Potent Peppermint, Lemongrass Lifter and Mouthwatering Mandarin versions if that's your jam. Now this coffee scrub smells so lush to the extent that you almost want to eat it. Like it smells like vanilla mixed with coffee and chocolate which is all kind of yum. Coffee is just my weakness guys, I'm a full on caffeine addict. Now applying this is pretty mess free. Just apply to your face, leave for five minutes and then wash off. The coffee grounds are quite rough (but not scratchy) so you can really give your skin a good scrub which I love. As far as fallout goes there really isn't much by any means, just a few coffee grounds that you might find on the floor but nothing more than that which is great because you can use this and create virtually no mess (yay! for lazy people like me). But what about what it actually does to your face? Because if you're new to this you're probably like WHY COFFEE GROUNDS? Because I know it's a bit weird. Well firstly it's a gentle exfoliator. 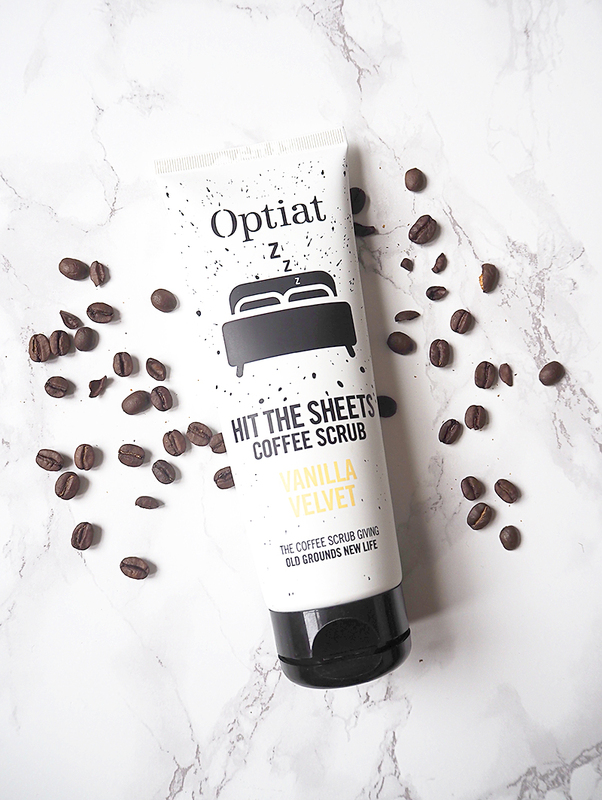 Secondly coffee is the same PH as your skin apparently so won't dry it (Optiat have actually added shea butter too so extra moisture). Thirdly it helps clear toxins by stimulating blood flow, and lastly it's filled with antioxidants which help to fight ageing. All sounds great right? Thank you for reading lovelies! 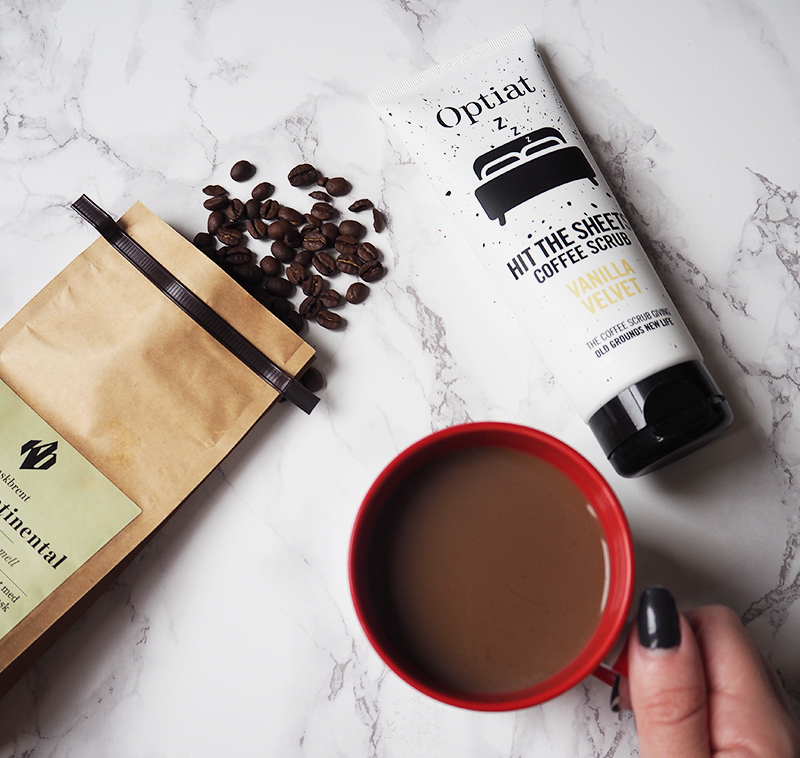 Have you ever tried a coffee scrub? i hear coffee scrub is also good for cellulite, did you notice any positive effect on that? This sounds amazing! I need to try it!! I have never used coffee scrub for the face! I wonder if this brand easily available worldwide?